As 2015 draws to a close it seems fitting to do a button clock for the final of my 50 button Crafts posts. Maybe it is just me but the end of the year makes me realize how fast time is passing and I wonder if I am getting enough of the important stuff done in a day. A button clock could be a nice bridge to stories about times past or each button could represent a ancestor and naturally lead to a story about that person. I found three basic ideas for making button clocks (remake an inexpensive wall clock or buy a clock kit and use a cookie tin lid or embroidery hoop for the clock base.) The two bellow have tutorials. The one above doesn’t but here is a tutorial for making a button clock with an embroidery hoop. Merry Christmas and Happy Holidays to everyone. I got a great gift today. Fable was in phase 4 on the phase report this morning. Good job little girl! She is moving along at a nice steady pace. Hopefully this will continue, through with the holidays her trainer maybe taking so days off that could affect her progress and the progress of her string. That is what happened over Thanksgiving. But since I’m tracking all the dogs on the phase report it is easy to see if the other dogs that are most likely in her string are moving along the same way she is. Just one more phase report for the year. I’m proud of Fable for making it this far and though I hope she will become a guide dog, it is more important that she be doing something that she enjoys, even if that isn’t being a guide dog. I wonder how she will take to the booties? Sometimes she can be kind of body sensitive. Kind of exciting that she is doing her first blindfold test too. I wonder if this is a phase that gets many dogs career changed. I think I’ll check it out…. So I checked over the phase reports for 2015 and I learned some things. Not too surprising the largest number of career changes happen in phase 0, the medical evaluation stage. I have 28 dogs who showed up on the phase report in 0 and then were career changed. Only 12 dogs were dropped after phase 1. Then there is a big jump in phase 2 and phase 3 with 23 dogs being cc’d in each of these phases. Phase 4 is 15 dogs. Phase 5 jumps a bit to 18. Then in drops off to 7 dogs dropped in both phase 6 and 7. Another surprise is the number of dogs career changed in phase 8. I had down 18 dogs. Plus there could be more that I don’t know about. 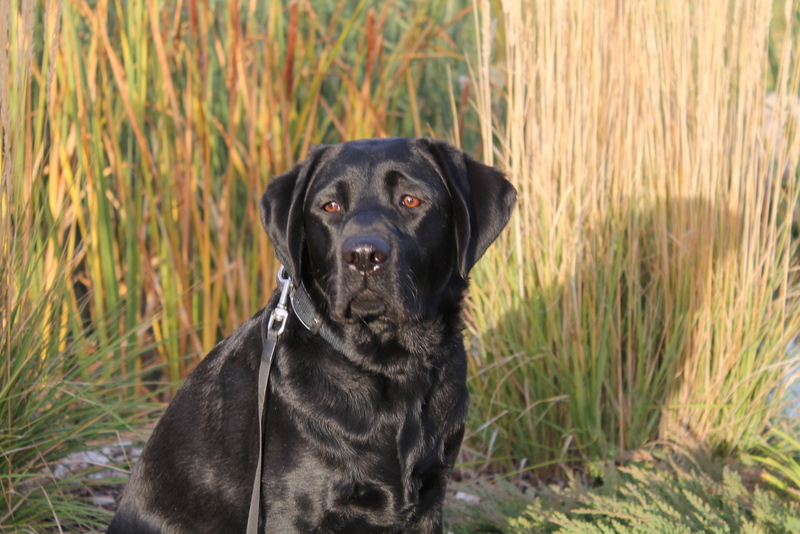 Of course there are final tests on phase 8 as they make sure that dogs are ready to be guide dogs before they are matched and train with their new partners for two weeks in class. 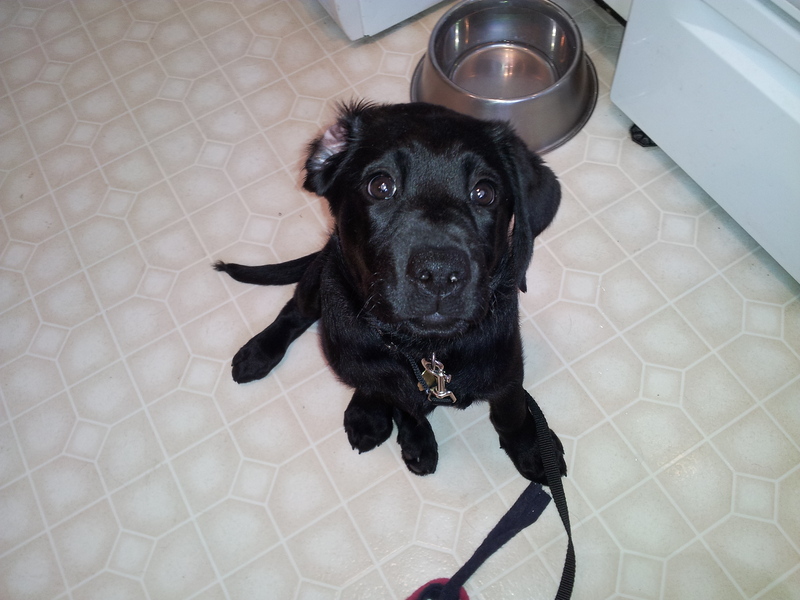 So Fable is at a critical point in her training right now. Not sure how the holidays will effect her progress. I’m sure that the trainers take at least a little time off during Christmas and New Years. 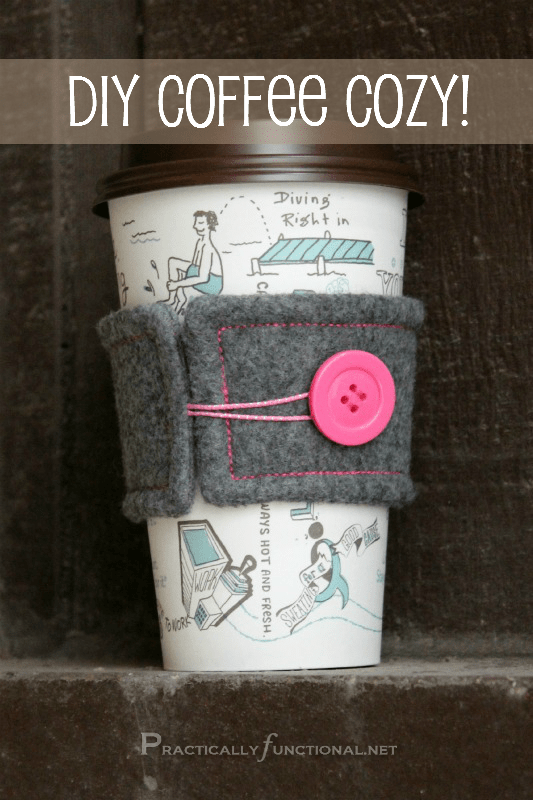 With all the cold weather that comes this time of year, I was drawn to the cup cozies I found on Pinterest this week. 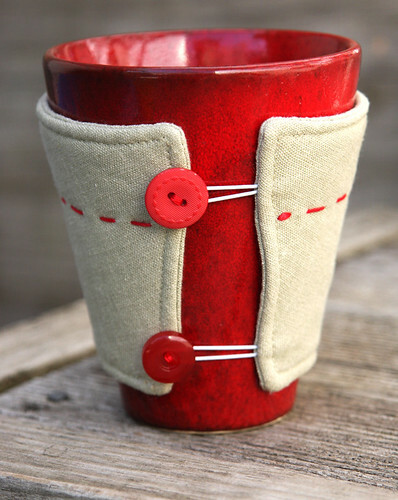 There are lots of ways to make them so I’ll share a few of those I found with buttons. This is a fun way to share some of the buttons from your stash along with stories of cold days and warm drinks from your life or an ancestor’s. I’m a huge hot chocolate or lemon and honey tea. Nothing warms me up when I get cold to the core like something hot to drink. In the winter hot chocolate and graham crackers was my favorite after school snack growing up. 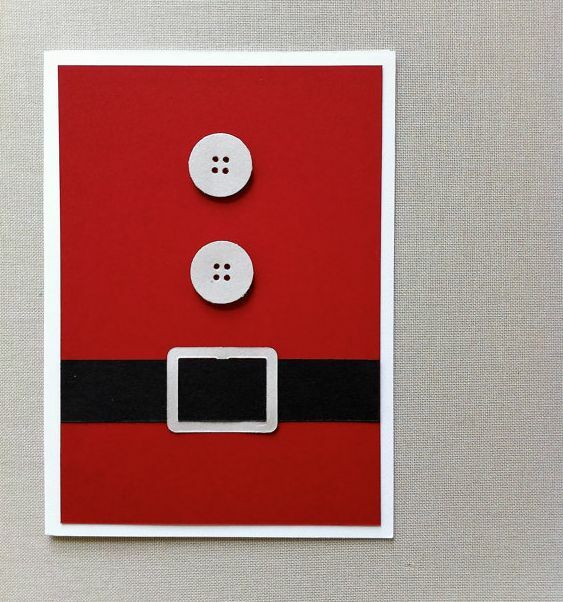 Christmas is just around the corner so I thought I’d share some of the fun Christmas card ideas using buttons. 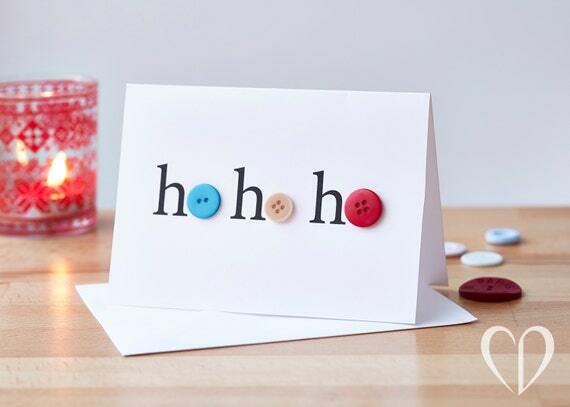 There are so many out there and the possibilities are endless but hopefully these will inspire you to create something memorable from your button stash. 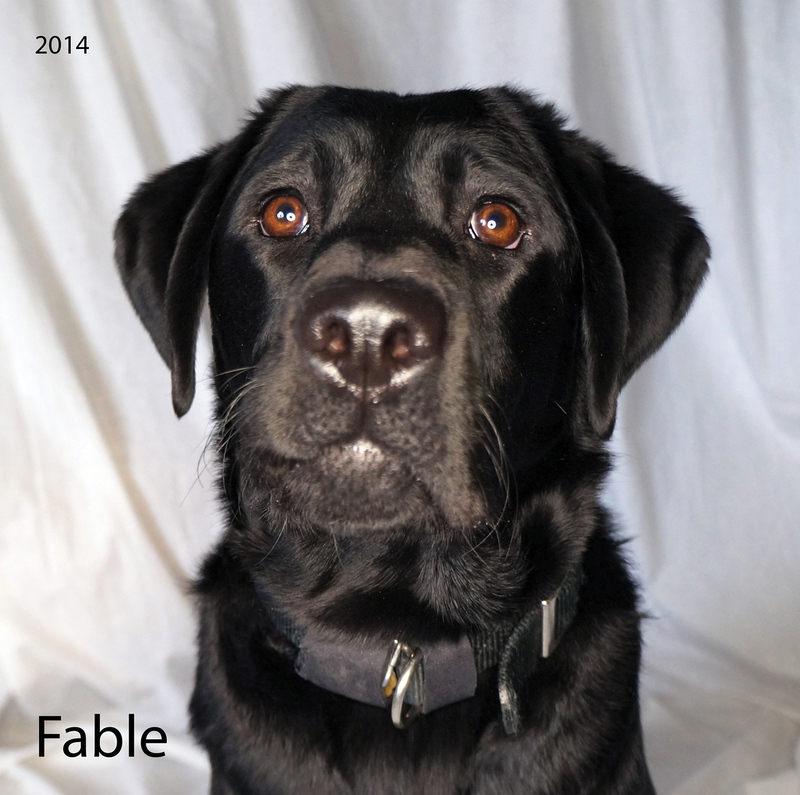 I finally got Fable’s official portrait picked, printed, stretched and hung on our wall. We have nine photos up there now. Some how nine seems like so much more than eight. I think some of it is that I had two rows of four photos and now I have three rows of three. It fills the wall up very differently. I put up enough nails when I started this wall above our stairs for the alphabet so it is easy to rearrange the photos as we add more puppies. I need to get on doing a photo shoot for Galaxy. She turned 7 months old this week. I’d like to have her portrait up by the time we have her going away party, not almost 7 weeks after she leaves for training.